Johannes Stark ( 1874 - 1957 ), profoundly anti - semitic German physicist and high ranking, committed Nazi official, won the 1919 Nobel Physics Prize for the "Stark Effect" ( or Shift ) comprised of the "Doppler effect in canal rays" together with the splitting of the hydrogen spectral lines by means of a strong external electrical field. Therefore for this pioneering experimental work, Stark made important contributions to the early development of quantum atomic physics. 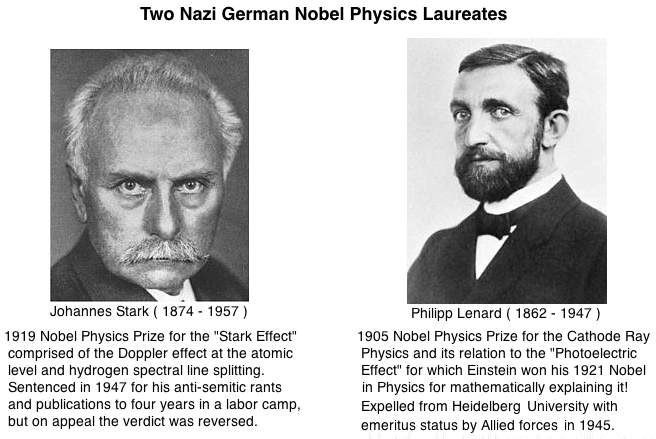 Stark made common political cause in burgeoning Hitlerian nazism with another highly anti - semitic German physicist, Philipp Lenard ( 1862 - 1947 ) who also won the Nobel Physics Prize in 1905, in the field of cathode rays physics and its relation to the newly discovered photoelectric phenomenon. Interestingly this was also the same year that Einstein published his mathematical physics theory of special relativity. 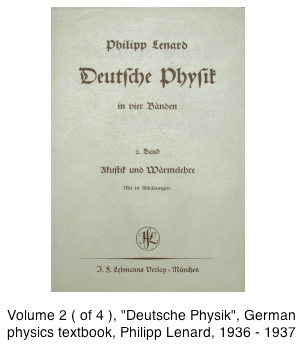 Now both Stark ( failed in his attempt to be named 'German Fuhrer of Physics' ) and Lenard ( named 'Chief of Aryan Physics' ) were founding members of the "Deutsche Physik movement" as a vitriolic anti-semitic counter to "Jewish Physics", especially in opposing "Jewish", "Spiritual", and non - pragmatic "Intellectual" special relativity mathematical physics. Aside from the medieval nature of anti - semitic German Lutheranism, an offshoot of historic fundamental Catholic anti - semitism where preoccupation with Jews and Judaism played an ever gnawing sore on the Body of Medieval Catholicism, the Deutsche Physik movement thought of itself as the far superior "Pragmatic" physics of experiment in the nature of the Positivism ( extreme version: solipsistic "naïve realism" ) philosophic school of epistemology ( or "knowing" something ) at the level of subatomic quantum particles where actual measuring dials ( for temperature, voltage, electrical currents, etc. ) are readily discerned. In fact, during most of this time of German physics of mid-1800s to 1930s, experiment in physics ranked much higher than the theoretical, mathematical physics most commonly practiced by excluded "intellectual" German Jews. Hence, "Pragmatic" ( positivistic ) physics invariably ranked much higher in the German collegium of physics than the "Spiritual" or theoretical, mathematical, and intellectual physics of Jews. 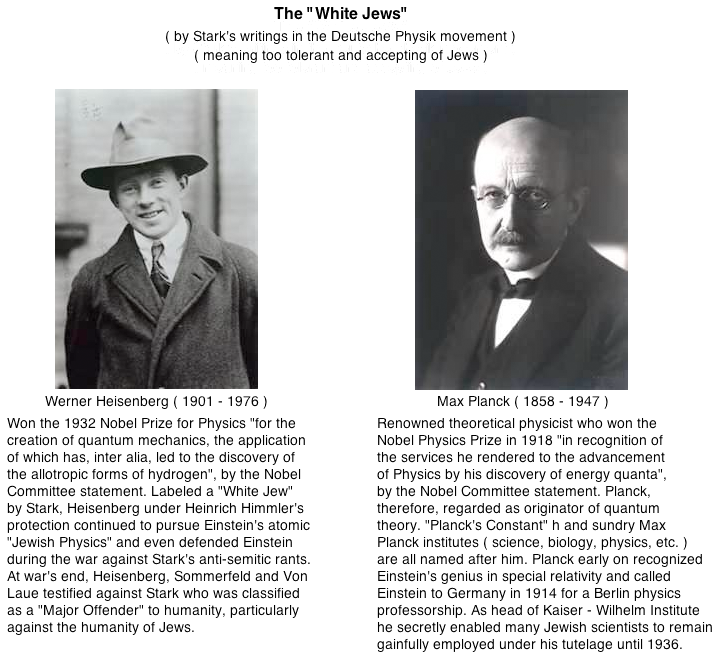 The actual reason, therefore, why the majority of German Jews of science and physics entered theoretical mathematical physics as opposed to experimental physics was because they were discriminated against from entering into the higher prestigious realm of experimental physics in the university collegium by other anti - semitic, jealous German physicists such as Stark and Lenard and their other kindred university anti - semites. 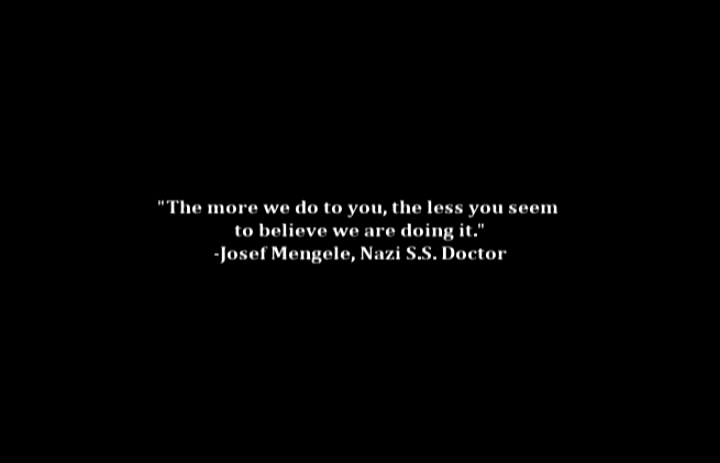 Dr. Joseph Goebbels, Phd. in '19th century romantic drama', Heidelberg University. by President Hindenberg on January 30, 1933. Enter Jewish Einstein of the School of "Jewish Physics"
Aside from Werner Heisenberg who was not Jewish and whom Stark labeled as a "White Jew" for Heisenberg's defense of Einstein for his special relativity mathematics, Einstein suffered from both German collegial exclusion ( with the other exception to this sort of German national ignorance being renowned physicist Max Planck ), as well as generalized all encompassing, surrounding German anti - semitism and militarism. 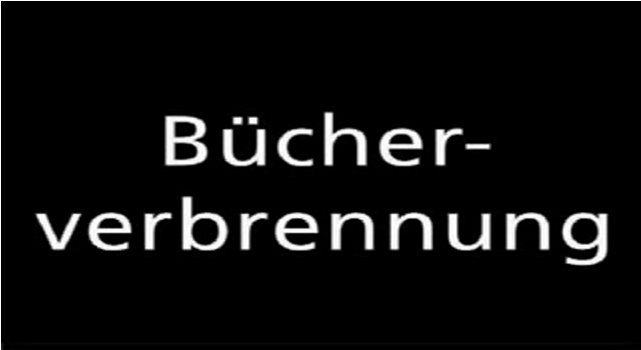 In fact, upon passage of the Nuremburg Laws of 1935 excluding Jews from all walks of German society and professional life, at the University of Heidelberg other "professors" and "students" of intellect would throw compatriot Jewish professors over side rails, sometimes to their deaths down below. Interestingly, Lenard retired from Heidelberg in 1931 as professor of theoretical physics. 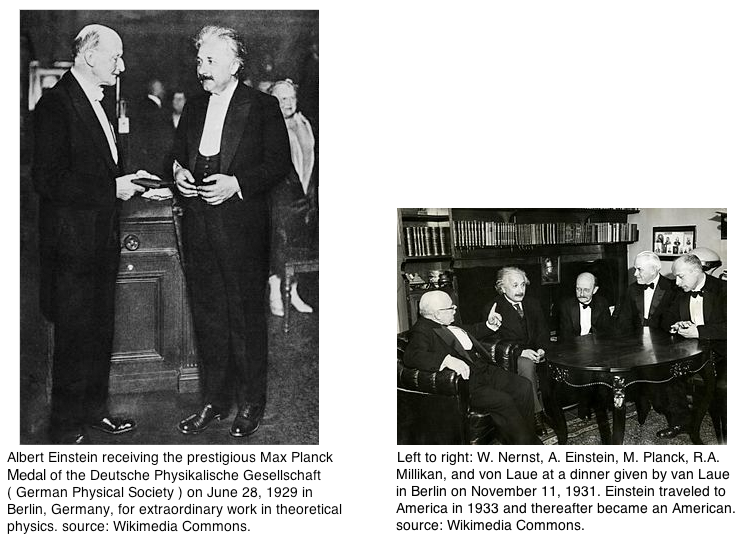 As a further ingredient of Deutsche Physik antagonism towards "intellectual" Jews of quantum physics, Einstein won the Nobel Prize in Physics in 1921 for developing the underlying mathematical physics of the 'Photoelectric Effect' for which previously both Stark and Lenard had themselves won Nobels for their practical ( "pragmatic" ) experimental work in this very same problem in physics, but had given none of the underlying mathematics that Einstein had proffered. 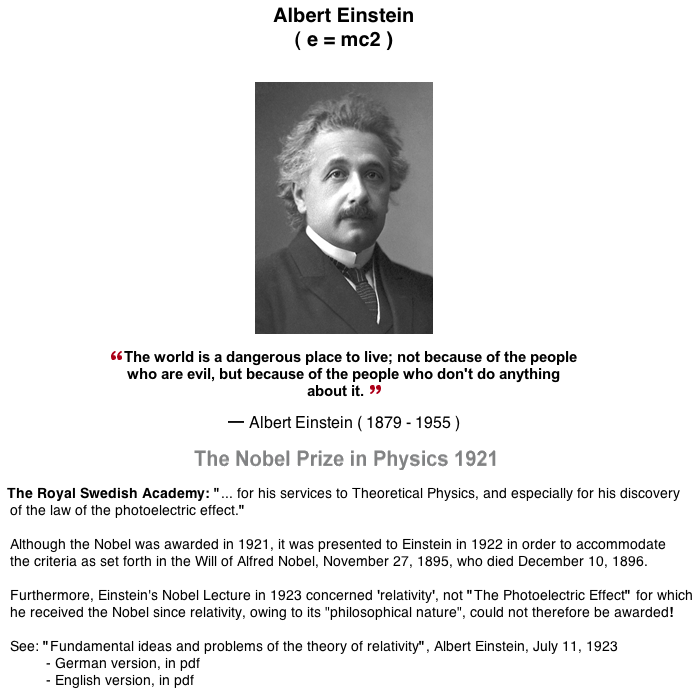 Interestingly, also, in Einstein's Nobel lecture after receiving the prize, the topic was not about the Photoelectric Effect but rather about the latest area of theoretical physics, namely time and space, actually spacetime, of special relativity!! This must indubitably have infuriated the Deutsche Physik adherents such as Stark and Lenard and their other anti - semitic kindreds! More German "Intellectualism" and Degenerate German "High Culture"
The burning, looting and destruction of Synagogues, Jewish businesses, etc. German Nazi "medical" experiments on Jews, Gypsies, Homosexuals, mentally infirmed and other non - desirables. 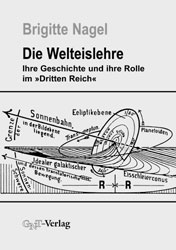 Recent book "Die Welteislehre: Ihre Geschichte und ihre Rolle im 'Dritten Reich' ", by Brigitte Nagel, 1991, Publisher: GNT-Verlag, Stuttgart, Germany, outlining the historical account of the role of Hanns Hörbiger in his original book, "Glacial - Kosmogonie" ( Glacial Cosmogony ), co - author Philipp Fauth, Publisher: Kayser, 1913, as later fully adopted into the insane, anti - semitic German Nazi occult theory of "cosmology physics" which was intended to discredit the "Jewish Physics" of Einstein's special and general relativity. This insane theory by Hanns Hörbiger by way of a mental vision, without an iota of physics or astronomy research, propounded that everything in the cosmos is ultimately composed of white, clear ice, including the Sun, as the fundamental substance of all physics!! 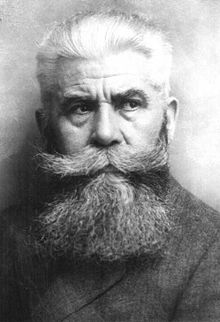 Since the insane Nazi Germans á priori believed in the superiority of Nordic "Whiteness" as opposed to everyone else of much "lesser" skin color, especially for the Semitic Jews ( note: while naturally allowing the imported Islamic Grand Mufti of Jerusalem broadcasting insane anti - semitic rants from Hitler's Berlin ), Hörbiger's World ( White ) Ice Theory was quickly adopted by these same insane Germans of Hitler's anti - Semitic Era. The ill - equipped German Nazi invasion into the heartland of Soviet Russia, called "Operation Barbarossa" named after the medieval Holy Roman Emperor, Frederick Barbarossa, began June 22, 1941, after Hitler's earlier ill - fated invasion plans of Winston Churchill's England, with only summer uniforms and summertime equipment, was also based upon Hanns Hörbiger's 'World Ice Theory' which "predicted" that the coming Russian winter would be warm and summer - like. 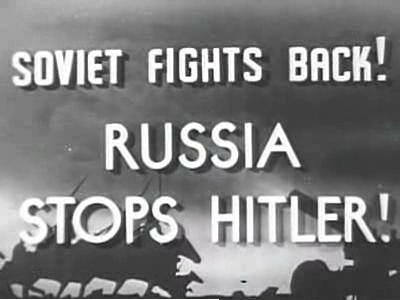 But the exact opposite sort of Russian winter ensued, thus ending Hitler's "Dream of Winter in Moscow" as 30 - degree temperatures below zero in the winter of 1941 became Russia's and America's Greatest WWII Ally! 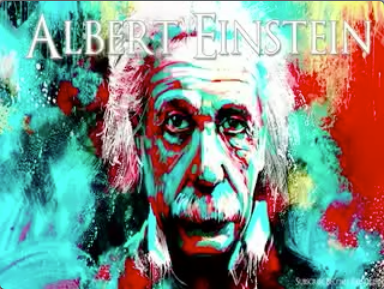 Upon publication of special relativity in 1905, but especially for his general relativity mathematics in 1917 and subsequent confirmation in the Eddington experiment of May, 1919, off the western coast of Africa for general relativity starlight bending, Einstein had become an instant world celebrity. 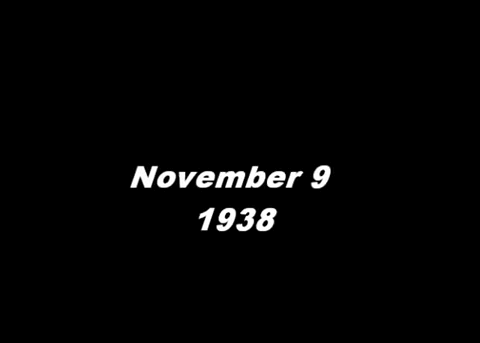 In December 1932, Einstein permanently left Germany for a teaching tour in Europe ( Paris, Zurich, Oxford, Brussels ), never to return and, thus, during his 3rd trip to America in February 1933, the year when Hitler consolidated power by becoming German Chancellor by popular acclamation, Einstein decided to remain in America to eventually become an American citizen, thereby attracting other German, Italian and Hungarian Jews and non - Jews of atomic physics to follow his example in emigrating to America. 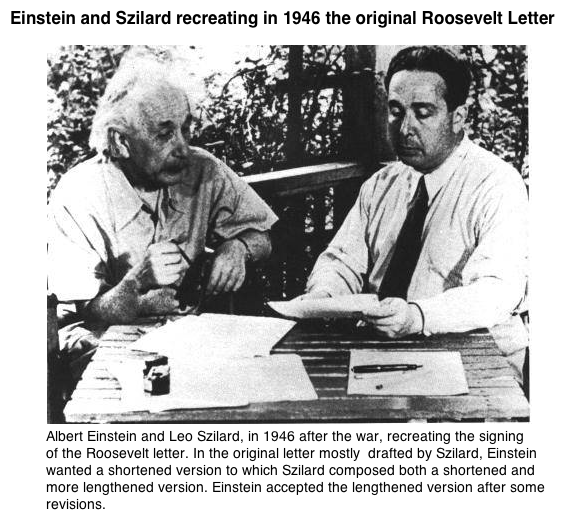 Leo Szilard, Hungarian Jew, hence convinced Einstein in August 1939 to write President Roosevelt to initiate the Manhattan Project for the pursuit of the atomic bomb when Szilard brought news to Einstein that other German physicists were proceeding towards a similar goal. 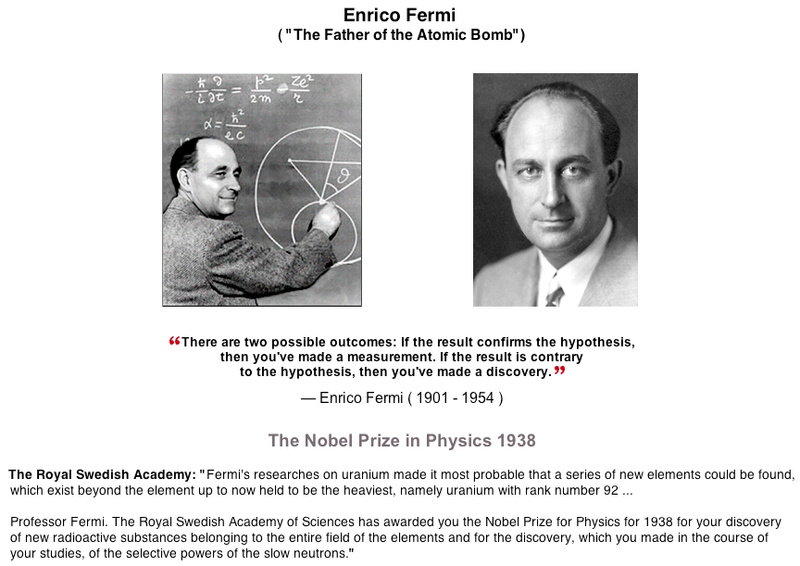 Also, Enrico Fermi ( "The Father of the Atomic Bomb" ), Italian emigre, had recently received the Nobel Physics Prize in 1938 for proving that neutron - induced atomic reactions were entirely feasible and practical, and upon receiving the Swedish prize in Stockholm, Enrico Fermi and his Jewish wife, Laura Capon, together with their two Jewish children ( Nella and Giulio, both baptized Catholic as some sort of "protection" against Nazi - Aryan ideology but nonetheless still Jewish by genetic and blood inheritance ) traveled straight to New York City owing no less to the recently published 'Manifesto of Race' law in July 1938 by fascist Mussolini. 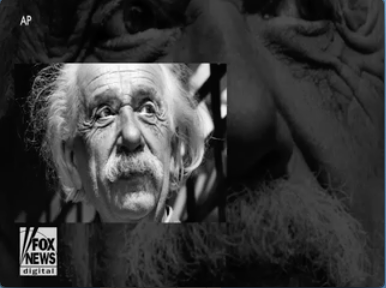 So, given Einstein's personal experience with both German anti - semitism and German atomic Deutsche Physik both at the hands of Johannes Stark and Philipp Lenard and their kindred university nazi anti - semites, Einstein overcame his innate hatred of nationalistic militarism of any sort ( German, Austro - Hungarian, American, etc. ) 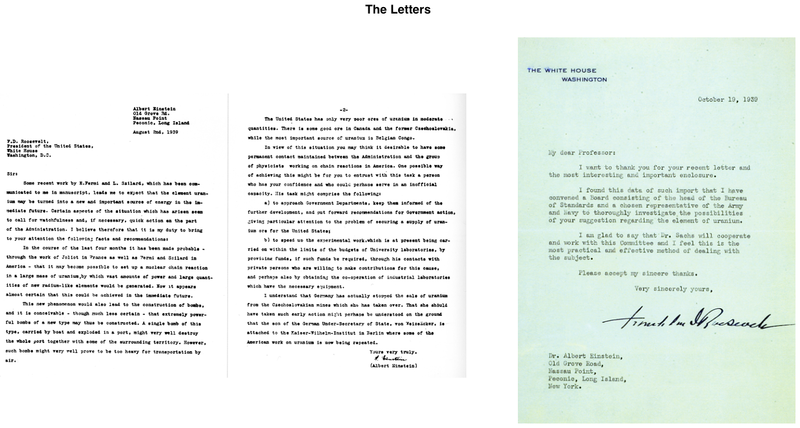 together with his natural inclination for pacifism and hence wrote the famous Einstein - Szilard letter! It is patently obvious that German - Lutheran anti - semitism with its antecedent historic Medieval Catholic anti - semitism, admixed together with the intellectual competition arising between "Pragmatic" Deutsche Physik and the theoretical "Jewish Physics" of special ( and later general ) relativity, gave great impetus on the part of Europe's intellectual Jews in theoretical ( and practical! ) physics living in America for the development of the Atomic Bomb. 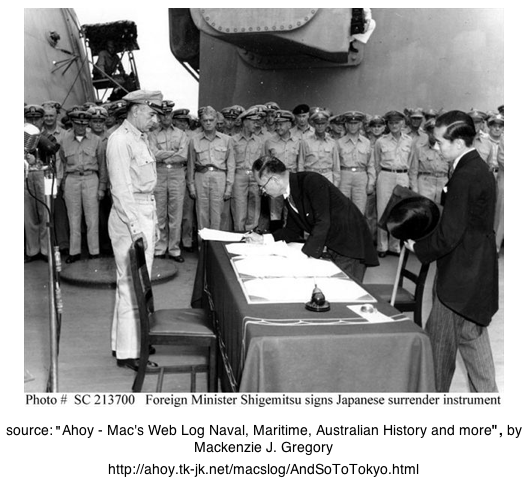 Thus the final ending of WWII in the Pacific against the fanatical Japanese Empire by the dropping of the atomic bomb, first on Hiroshima then on Nagasaki, culminating with the signing of 'The Instrument of Surrender' in Tokyo Bay on board the USS Missouri, September 2, 1945, between Supreme Allied Commander Gen. Douglas MacArthur and the Japanese delegation led by Mamoru Shigemitsu, ironically began with German - Lutheran anti - semitism and German - Jewish intellectual special ( later general ) relativity! "As long as Nazi violence was unleashed only, or mainly, against the Jews, the rest of the world looked on passively and even treaties and agreements were made with the patently criminal government of the Third Reich [ i.e., the 'Nazi - Vatican Concordat of 1933' between Franz von Papen and Cardinal Pacelli, later Pope Pius XII ] .... The doors of Palestine were closed to Jewish immigrants, and no country could be found that would admit those forsaken people. They were left to perish like their brothers and sisters in the occupied countries. We shall never forget the heroic efforts of the small countries, of the Scandinavian, the Dutch, the Swiss nations, and of individuals in the occupied part of Europe who did all in their power to protect Jewish lives." Sound Credit: Voice of America Broadcast, December 10, 1945. National Archives Control Number NNSM(s)-306-EN-8554. to the freedom shores of America instead of Hitler's Germany. It surely would've been of some moral justification to have dropped the atomic bomb on Germany before they capitulated and not just solely on the Japanese for the crimes the Germans collectively committed against Jewish humanity. The rational intellect of the human mind is surely no defense against the medieval and emotional hatred of Jews by anti - semites, whether Christian or Islamic. An early cure for cancer died at Auschwitz, Thank you Germans!! Finally, what goes around, comes around! First to set fire to their synagogues or schools and to bury and cover with dirt whatever will not burn, so that no man will ever again see a stone or cinder of them. This is to be done in honor of our Lord and of Christendom, so that God might see that we are Christians, and do not condone or knowingly tolerate such public lying, cursing, and blaspheming of his Son and of his Christians. For whatever we tolerated in the past unknowingly ­ and I myself was unaware of it ­ will be pardoned by God. But if we, now that we are informed, were to protect and shield such a house for the Jews, existing right before our very nose, in which they lie about, blaspheme, curse, vilify, and defame Christ and us ( as was heard above ), it would be the same as if we were doing all this and even worse ourselves, as we very well know. Third, I advise that all their prayer books and Talmudic writings, in which such idolatry, lies, cursing and blasphemy are taught, be taken from them ( ... remainder omitted ). Fourth, I advise that their rabbis be forbidden to teach henceforth on pain of loss of life and limb. For they have justly forfeited the right to such an office by holding the poor Jews captive with the saying of Moses ( Deuteronomy 17 [:10 ff.] ) in which he commands them to obey their teachers on penalty of death, although Moses clearly adds: 'what they teach you in accord with the law of the Lord.' Those villains ignore that. They wantonly employ the poor people's obedience contrary to the law of the Lord and infuse them with this poison, cursing, and blasphemy. In the same way the pope also held us captive with the declaration in Matthew 16 [:18], 'You are Peter,' etc, inducing us to believe all the lies and deceptions that issued from his devilish mind. He did not teach in accord with the word of God, and therefore he forfeited the right to teach. Fifth, I advise that safe­conduct on the highways be abolished completely for the Jews. For they have no business in the countryside, since they are not lords, officials, tradesmen, or the like. Let them stay at home ( ... remainder omitted ). Seventh, I commend putting a flail, an ax, a hoe, a spade, a distaff, or a spindle into the hands of young, strong Jews and Jewesses and letting them earn their bread in the sweat of their brow, as was imposed on the children of Adam ( Gen 3[:19] ). For it is not fitting that they should let us accursed Goyim toil in the sweat of our faces while they, the holy people, idle away their time behind the stove, feasting and farting, and on top of all, boasting blasphemously of their lordship over the Christians by means of our sweat. No, one should toss out these lazy rogues by the seat of their pants." In the long history of Christianity there exists no more tragic development than the treatment accorded the Jewish people on the part of Christian believers. Very few Christian communities of faith were able to escape the contagion of anti-Judaism and its modern successor, anti - semitism. 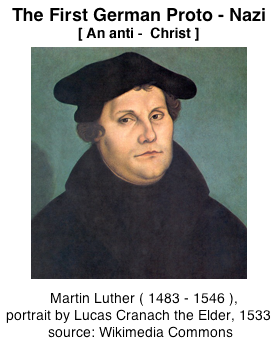 Lutherans belonging to the Lutheran World Federation and the Evangelical Lutheran Church in America feel a special burden in this regard because of certain elements in the legacy of the reformer Martin Luther and the catastrophes, including the Holocaust of the twentieth century, suffered by Jews in places where the Lutheran churches were strongly represented. In the spirit of that truth - telling, we who bear his name and heritage must with pain acknowledge also Luther's anti - Judaic diatribes and the violent recommendations of his later writings against the Jews. As did many of Luther's own companions in the sixteenth century, we reject this violent invective, and yet more do we express our deep and abiding sorrow over its tragic effects on subsequent generations. In concert with the Lutheran World Federation, we particularly deplore the appropriation of Luther's words by modern anti - semites for the teaching of hatred toward Judaism or toward the Jewish people in our day. Grieving the complicity of our own tradition within this history of hatred, moreover, we express our urgent desire to live out our faith in Jesus Christ with love and respect for the Jewish people. We recognize in anti - semitism a contradiction and an affront to the Gospel, a violation of our hope and calling, and we pledge this church to oppose the deadly working of such bigotry, both within our own circles and in the society around us. Finally, we pray for the continued blessing of the Blessed One upon the increasing cooperation and understanding between Lutheran Christians and the Jewish community.